Nowadays, people have accomplished to mislead themselves to believe that a mere 5 hour sleep will revert back the energy to accomplish every task in their life. Not only does it initiate a half-hearted effort into everything done throughout the day, but also has detrimental effects on the health. According to studies, sufficient amount of sleep can reduce the chances of obesity and improve concentration power. 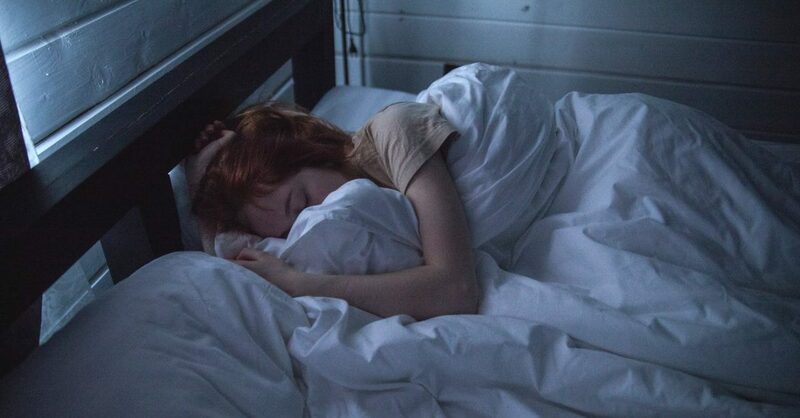 Unfortunately, lack of sleep leads to poor mental health. Keeping up on one fixed schedule might be a little difficult in the beginning. But, with practice this is achievable and have incredible benefits. A consistent sleep schedule guides the body to understand what is the right time to fall asleep. Try to do same activity everyday to prepare body for sleep like taking a warm shower or listening to calm music. A daily time-table will adjust the body’s de-stressing process with the sleep, giving it ample time to heal and repair for the next day. Caffeine in your daily cup of coffee and tea, stops the adenosine receptor(one that makes you sleepy) from making one feeling drowsy. Caffeine is a natural stimulant that has fast effects within an hour or so, which remains for about 4-5 hours before receding.The residual caffeine however can stay for longer, hence keeping the body wide awake. Unless absolutely necessary such as meeting an important deadline or so, consuming caffeine past late afternoon is a big no-no. It’s always advisable not to compromise your sleep over alcohol. While it a may allow a normal person to fall asleep, it also heavily shortens REM(Rapid Eye Movement) sleep. REM sleep occurs post-90 mins of falling asleep and lets one dream through snippets of memories, a wonderful therapeutic process for the brain. Loss of REM can affect sleep patterns, keep one drowsy in the morning and reduce concentration power. Not to forget, alcohol causes dehydration which could disrupt your deep sleep, waking you up due to thirst. Working out at the correct time of the day heats up the body which gradually cools down to promote drowsiness. But late workouts might keep the body heated before hitting the bed, thereby keeping one energized with adrenaline rush while they should rest. During exercise, muscles break which require repairing which can be done through protein synthesis while one is asleep. Exercising before bed stops many body functions altogether which helps repair the body during rest. However, A few stretching exercises and yoga still helps to increase the chances of deep sleep and can be performed before bed. One needs to come in contact with natural light in order to set the body pumped up for the day. A few minutes of early sunshine enhances the production of serotonin, a hormone that is responsible for boosting mood and keep you calm and focused. Rising early also helps to maintain your time-table as digestion, setting daily goals, workout including everything else fall in place with the perfect moment to carry them out. One needs to understand that there is a difference between sleep deprivation due to lifestyle choices and insomnia. If you are facing insomnia, it is recommended to ask for medical assistance immediately as it would need more attention and medication than the tips provided.